Hohoho! The feasting and celebrations the Christmas is approaching so soon, probably some of us have already start to prepare and list what presents or food to buy and prepare for the festive season. 2016 seems to pass us by so quickly and we are looking forward to new challenges for the upcoming year ahead. Before we do that, let's enjoy some nice German yummylicious food at Brotzeit. 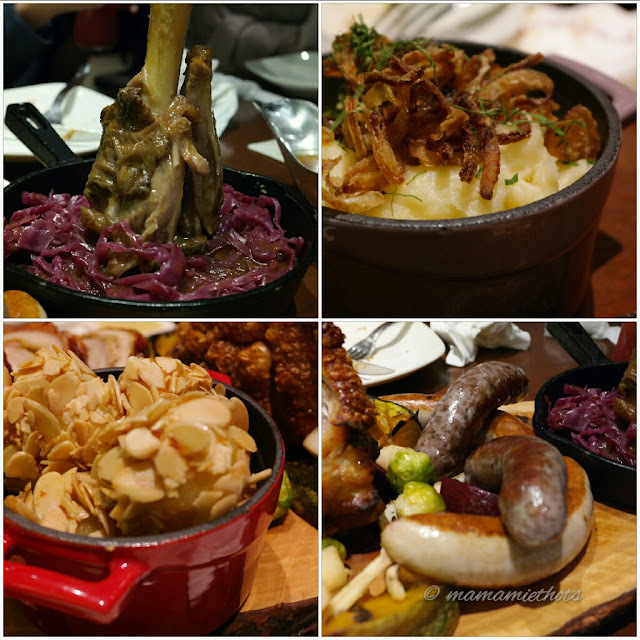 It was our very first time trying out German cuisine and the best part was the Brotzeit's Christmas menu was the creation of the award-winning Executive Chef Wolfgang Ranner. 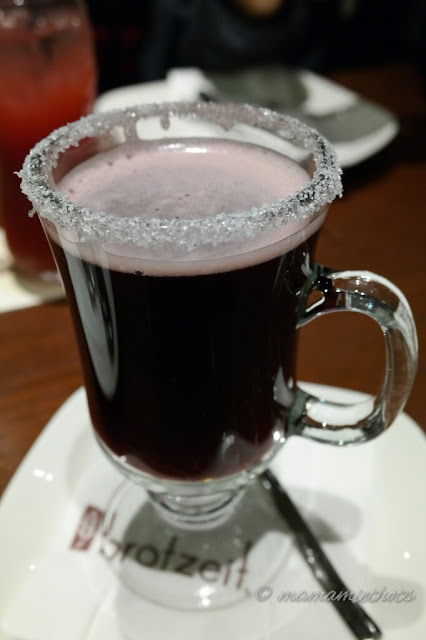 It's non-alcoholic so it's suitable for people who do not like to drink alcohol. 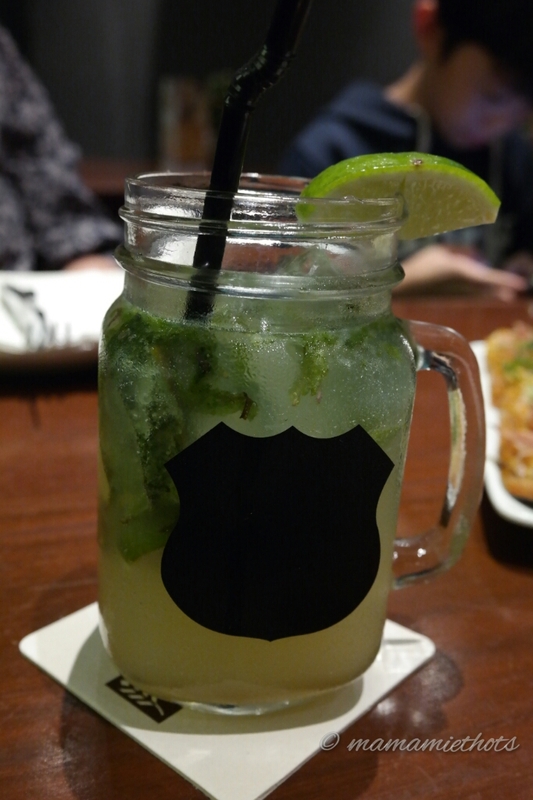 A mixture of soda, lime and mint leaves. It's a very light and refreshing drink. 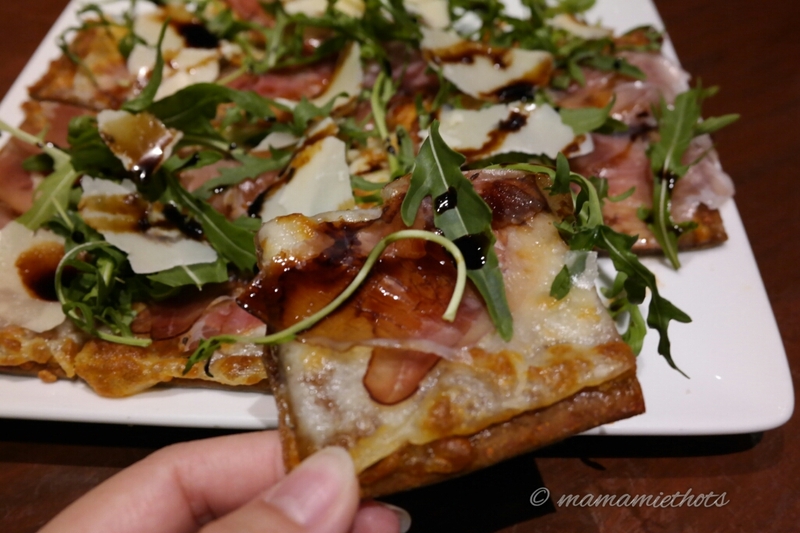 It consists of black forest ham, cheese shavings, rocket salad and balsamic glaze. Definitely, my kids' favourite because they love ham and cheese. 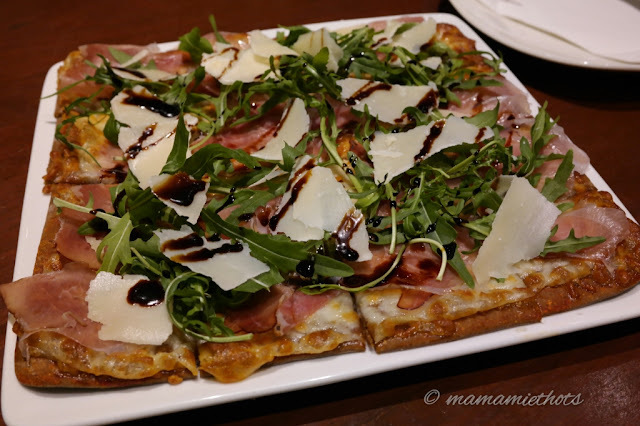 The square pizza was nicely cut into bite sizes, easy for them to pick it up and eat. 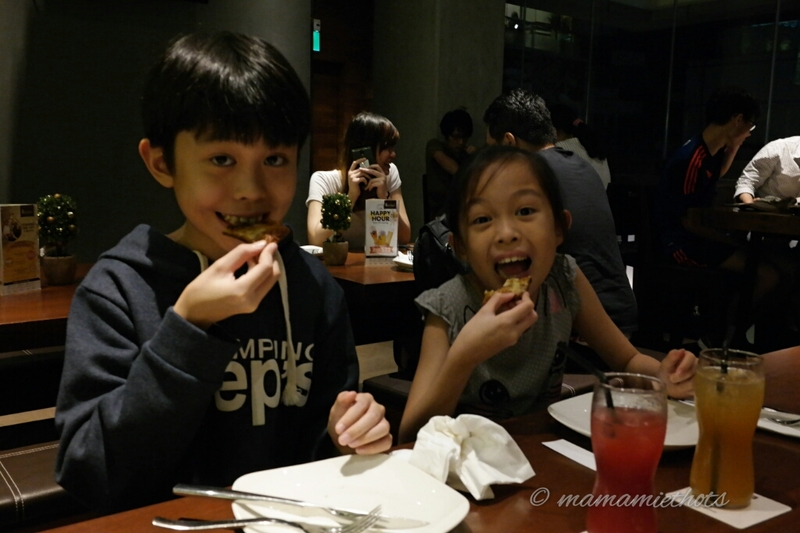 They could not wait to dig into the pizza the moment it arrived. 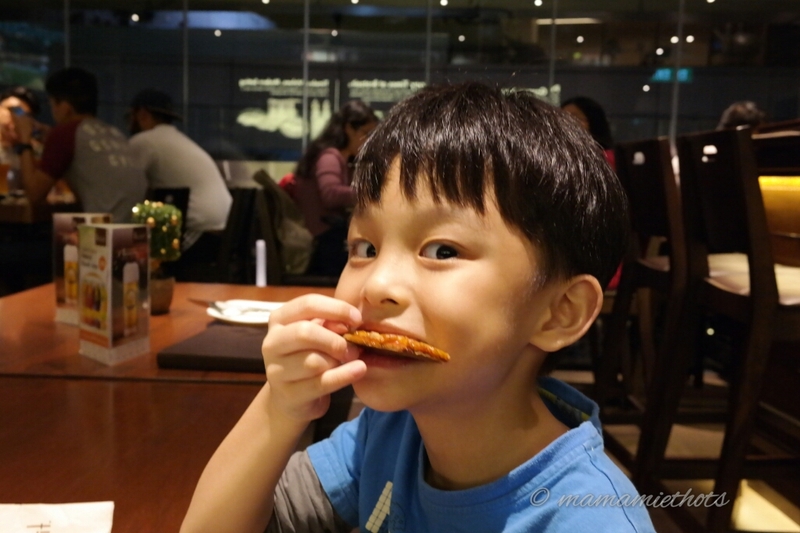 Even the pickiest eater in the family also loves to eat it. 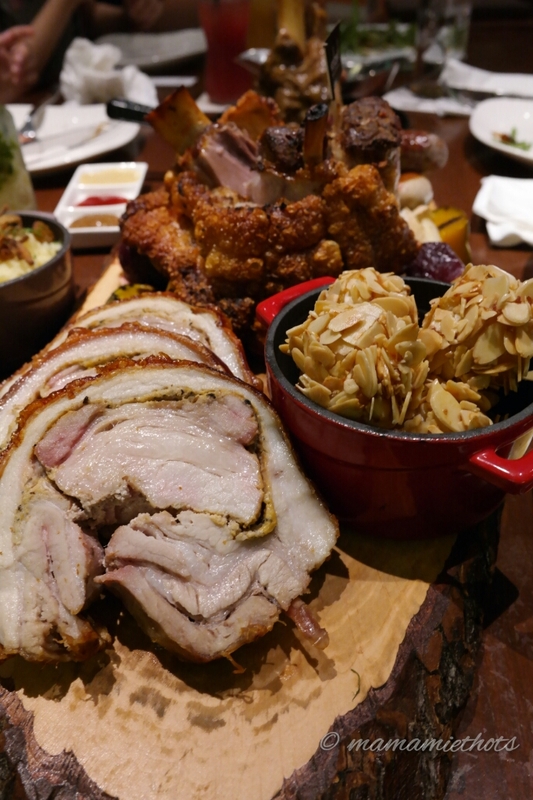 Introducing the Christmas Sharing Platter (SGD$118) which can feed up to 4 pax or more. It's a combination of various types of meat. Signature Roast Pork Knuckle, a selection of Veal and Venison Sausages, Roast Pork Roulade and Veal Shank, with ample sides of seasonal vegetables, mash potato and dumplings. 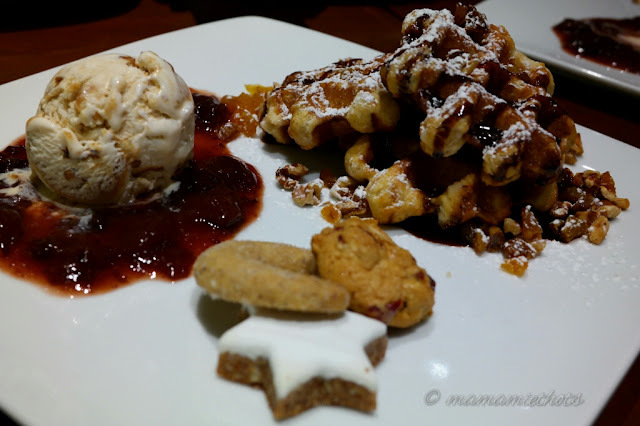 Warm waffles with walnut ice cream, plum sauce and a drizzling of decadent molten chocolate. Oh..and those moon & star cookies sure add some festive vibes to the dessert. 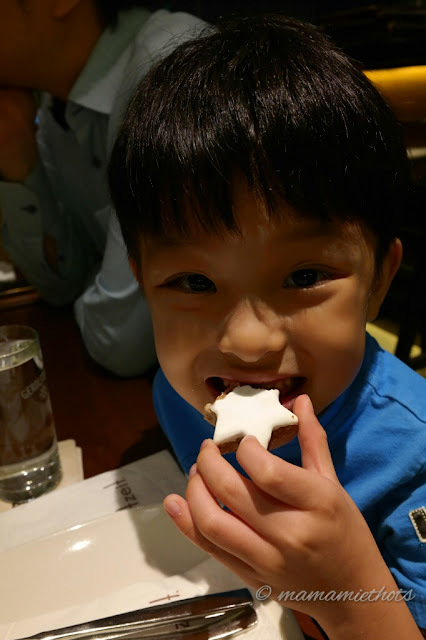 Junior YS sure looked very happy munching the star cookie. We ended the meal with a nice warm glass of dessert wine. The Mulled Wine is spiced with cinnamon, oranges and cloves. The wine tasted slightly tangy with a tinge of bitterness but the sugar coated rims help to neutralise the taste overall. 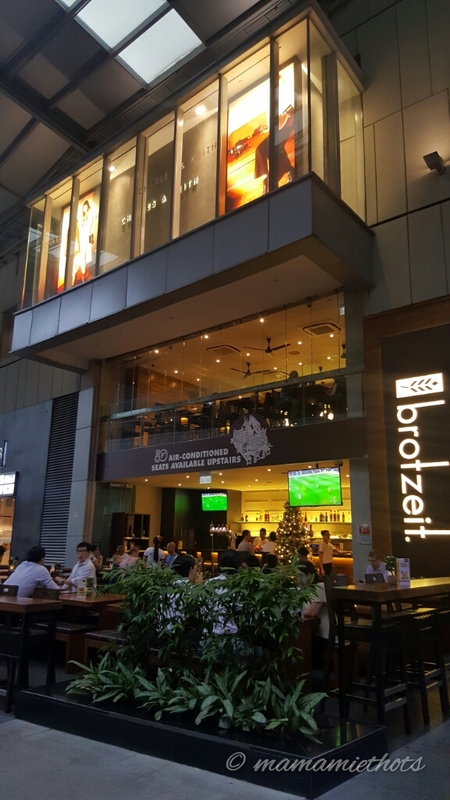 Brotzeit has an open air dining area (ground floor) and indoor air-conditioned dining area (2nd floor). Disclaimer: We were invited for a food tasting session at Brotzeit. No monetary was compensated, all opinions are our own.